BOSHAM will be looking to build on a rare positive result after they rallied to complete a come from behind win over Montpelier Villa. A year ago everything looked rosy for the red shirted side as they were on the way to top-three finish in the SCFL Division Two and lifting the league cup along the way. But The Robins have struggled so far this season with an early managerial change doing little to change the club’s fortunes. But as the weeks have gone on, their performances have got better with joint managers Tony Hancock and Danny Mullen starting to get their points across to the players. 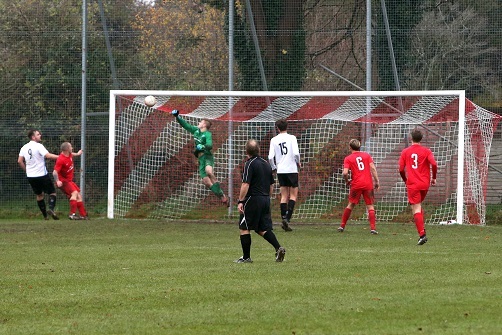 It paid off last weekend when the Walton Lane side rallied to wrap up three points against fellow strugglers Villa. After falling behind in the first half, goals after the break from Max Terry and Jake Lafferty sealed only a third league win of the season for Bosham. Those three points lifts them up to 12th in the 15 team SCFL Division Two. Tomorrow they head to the outskirts of Brighton to play Rottingdean Village (2pm). In SCFL Division One, Selsey’s surge up the table continues as the Blues look to make it four wins on the bounce away at Southwick tomorrow (3pm). Daren Pearce’s side have really hit their stride in recent weeks, stringing together a run of positive results. After a disappointing loss away at Midhurst, Selsey’s young side have notched nine points from nine which has seen them climb to fifth place in a competitive division. The latest victory came last weekend when goals from Tom Jefkins and Lindon Miller (2) sealed a comfortable victory away at Storrington. The three goals would have pleased Pearce who has said that the failure to convert chances has cost his side in the early stages of the season. At the other end of the table, fellow SCFL Division One side Sidlesham remain with their heads above the water. Steve Bailey’s side have a prime opportunity to give themselves some much needed breathing room when they head to Mile Oak tomorrow (3pm). Sids are currently 13th in the 18 team division, just four points above tomorrow’s hosts who are second bottom. A 2-0 defeat at home to Alfold last week means that Bailey’s side have now not won for more than a month, meaning victory tomorrow would taste even sweeter.